Have you seen the book "Knit, Swirl" by Sandra McIver? 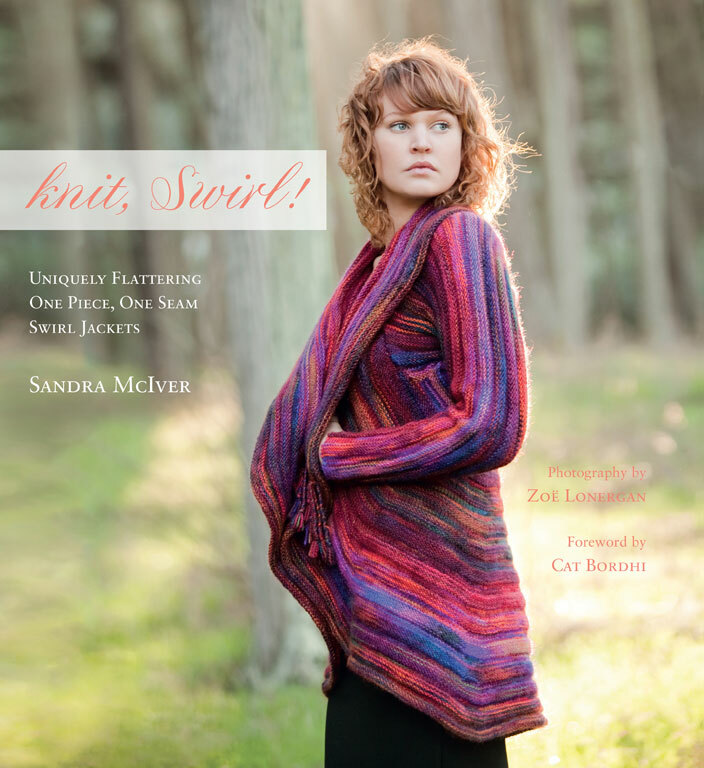 It is a beautifully written book with many incredible sweater designs. The cover sweater is called the Coat of Many Colors! The Coat of Many Colors is knit with Mountain Colors Mountain Goat yarn. To make it easy for ordering and because we thought different color options were fun, we are offering the YARN ONLY for this sweater as a kit. See the LINK for the chart of colorways (scroll down to see all the pages) that come in each color version. The cover color is called Poppy. These kits can be ordered through any of the yarn stores that carry Mountain Colors Yarns. I love this book and Mountain Colors Yarn. Thanks for providing an easy and convenient way to get the yarn for the cover pattern.